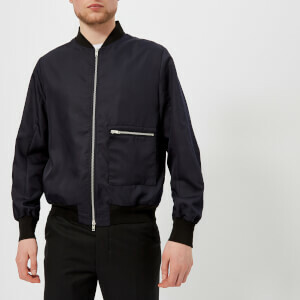 Black bomber jacket from Italian-Canadian fashion label, Dsquared2. 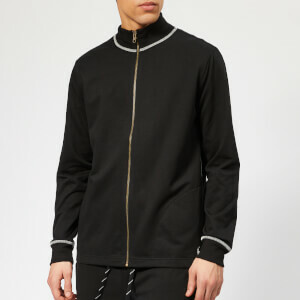 The sport luxe jacket is crafted from a woven wool blend and designed with a two-way zip fastening, a ribbed runnel collar and bold Dsquared2 logo tape on the sleeves. Fully lined with logo print fabric, the inside of the jacket features a single pocket. 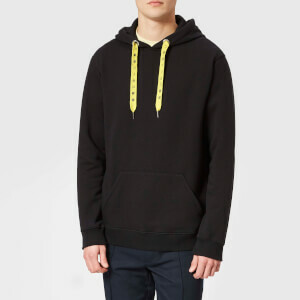 Complete with side pockets, logo-engraved zip pullers and ribbed trims. Main: 65% Virgin Wool, 32% Viscose, 3% Elastane. Lining: 100% Polyester. Model is 185cm/6'1" and wears a size 48/M.